This gorgeous piece of furniture is brought to you straight from Italy. The table has a round, glass tabletop which has a flawless finish. 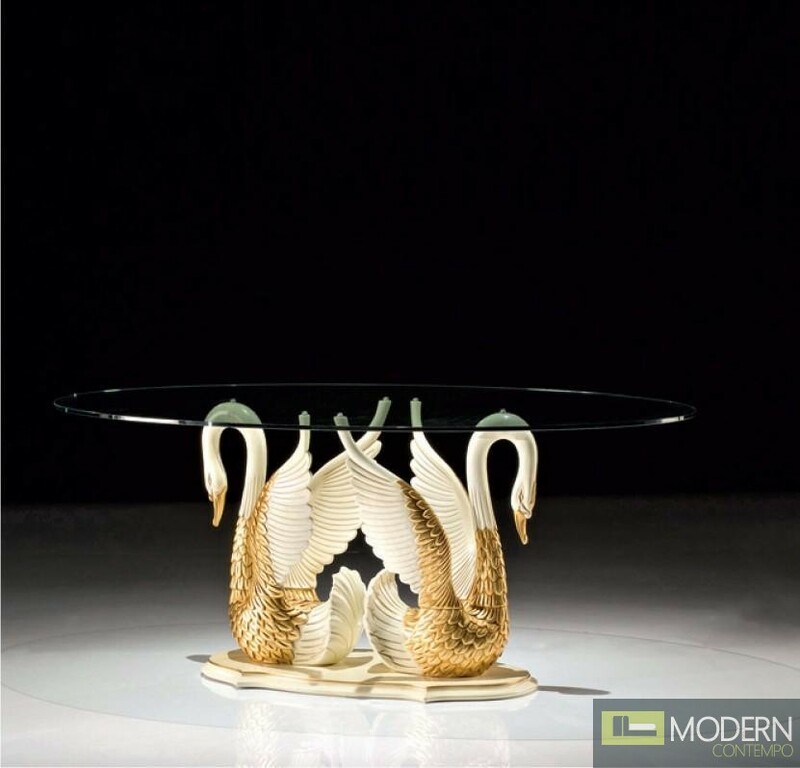 The base boasts a duo of two perfectly carved swans which sit atop an ornate base. The intricate detailing and master craftsmanship of this piece makes it a great piece and well-suited to your living space.